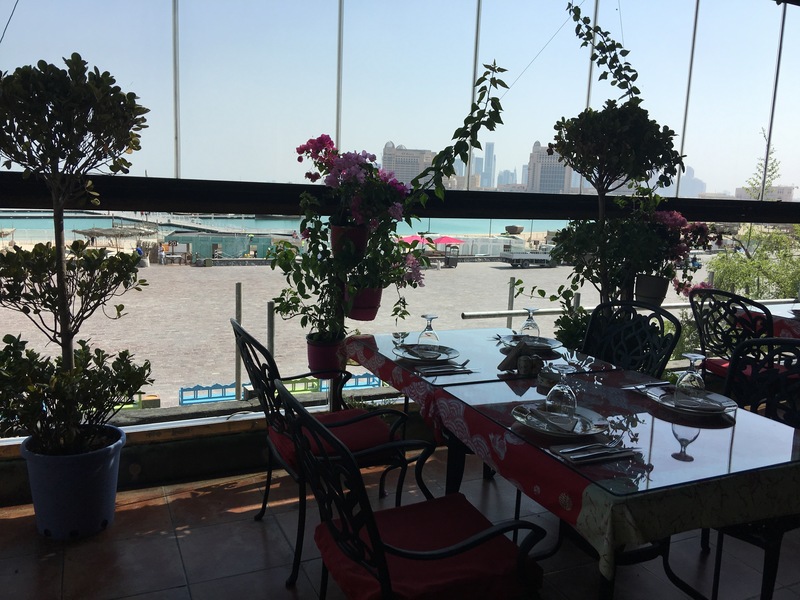 In my opinion Mamig at Katara definitely has kerb appeal – beautiful gardens with water features, an outside shady terrace and a large glass conservatory on the top floor. 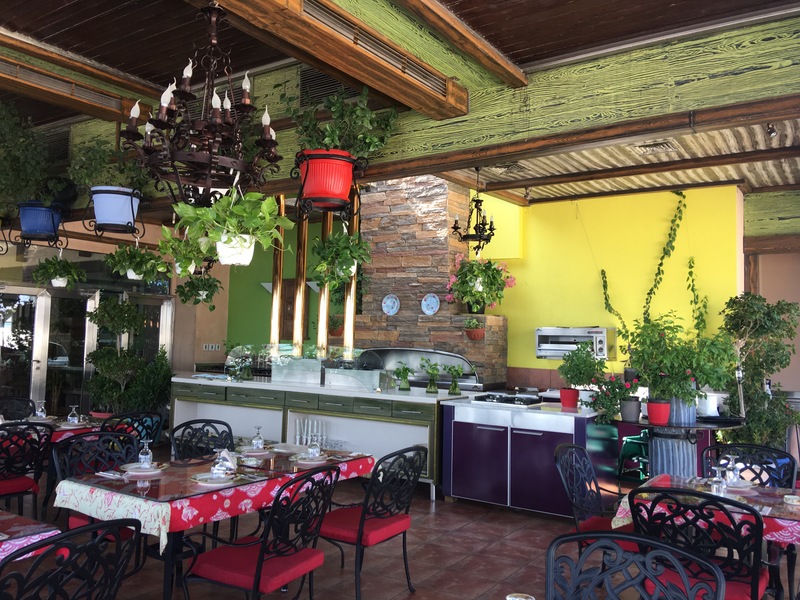 The inside is equally pretty with potted plants, an eclectic mix of soft furnishings and a wonderful view across to the Pearl and West Bay – it is certainly enticing. 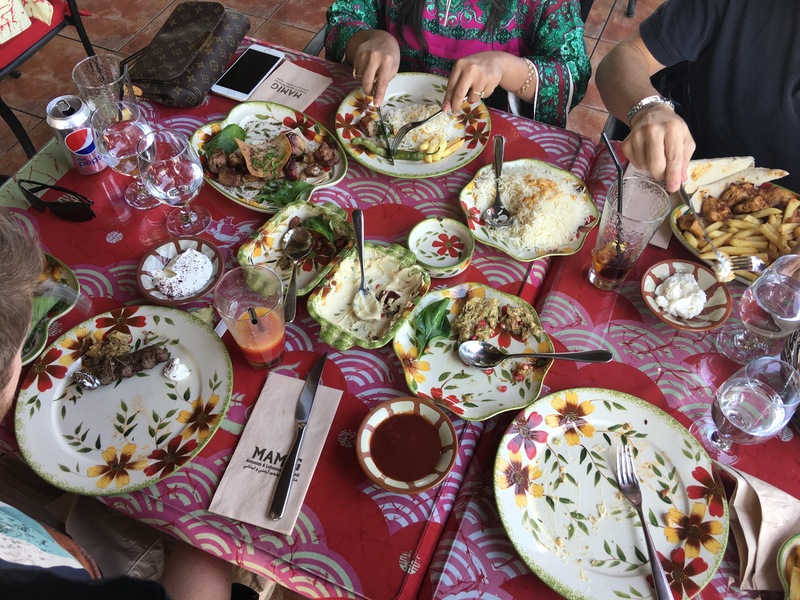 We have been a couple of times for a snack and enjoyed the food so when choosing a restaurant close to home with easy parking we opted for Katara and Mamig. I was a bit worried when we arrived as the said kerb appeal has been replaced by construction workers and scaffolding, it also looked empty. However, we spotted a hostess at the front and she confirmed that it was open despite the building work. We were shown to the elevator and then to a table by the window. This area used to be an open terrace but now it has been enclosed with windows which can be fully opened to let in the sea breeze.Menus were brought quickly and we ordered drinks and decided to share a selection of appetisers as the Armenian/Lebanese dishes really lend themselves to this. On the whole the appetisers were a hit. 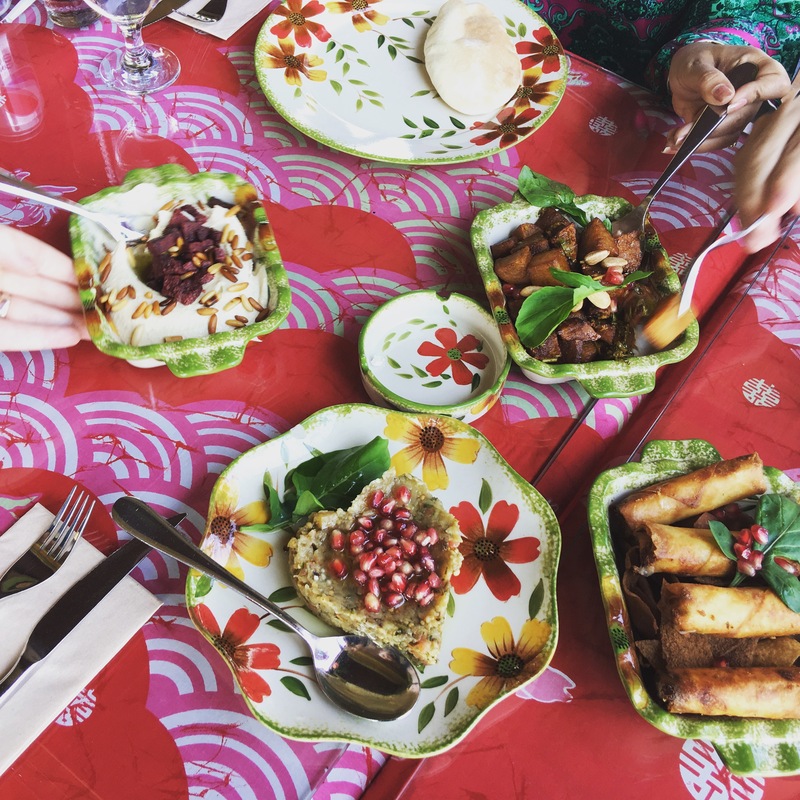 The hommos with soujouk was creamy and not too acidic, the mama ganouj was smoky with a lovely burst of sweetness from the pomegranate, both were generous portions. I didn’t try the rekakat with cheese but it looked delicious and everyone agreed it was better than the cheesy dough sticks that they had expected. I was a little disappointed with the gedouz patates as I have had these before and loved the combination of the crispy potatoes with a chili kicked but this time they didn’t feel very fresh or crispy, the kick of heat was also missing. Another hit was the basket of soft, fresh bread, it was quickly devoured and we had to resist ordering more. 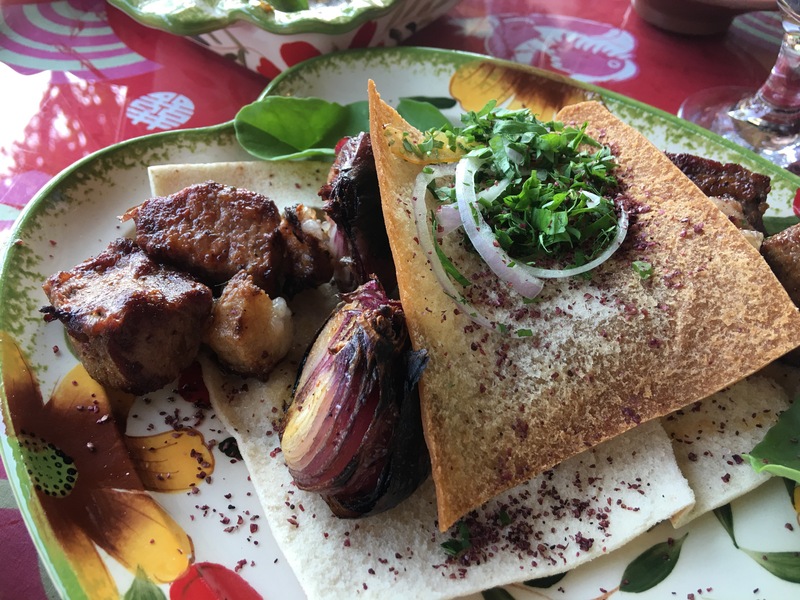 The deep fried morsels of bread at the bottom of the rekakat basket were perfect for mopping up bits of mama ganouj and hommos so do not let them go to waste. After a suitable time our main courses were brought over. 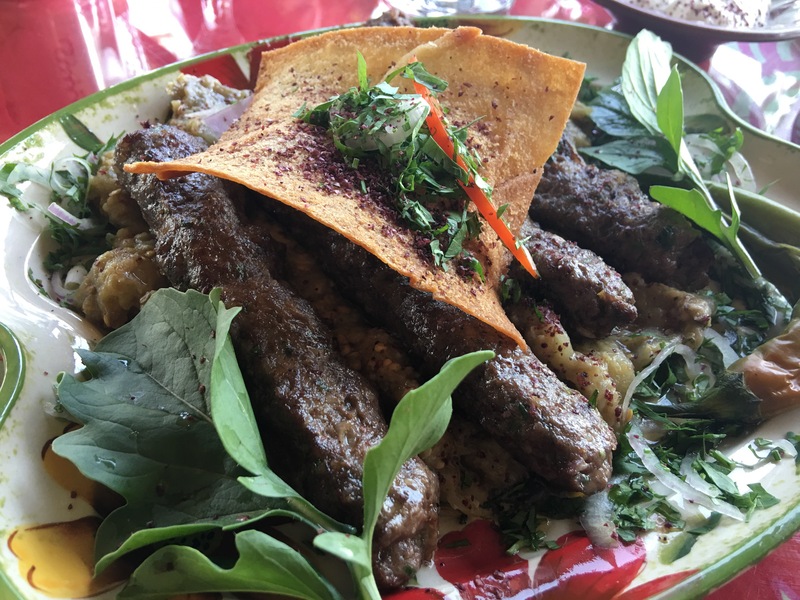 The awasal kebab listed as beef on the menu, is actually tender, succulent cubes of marinated lamb. 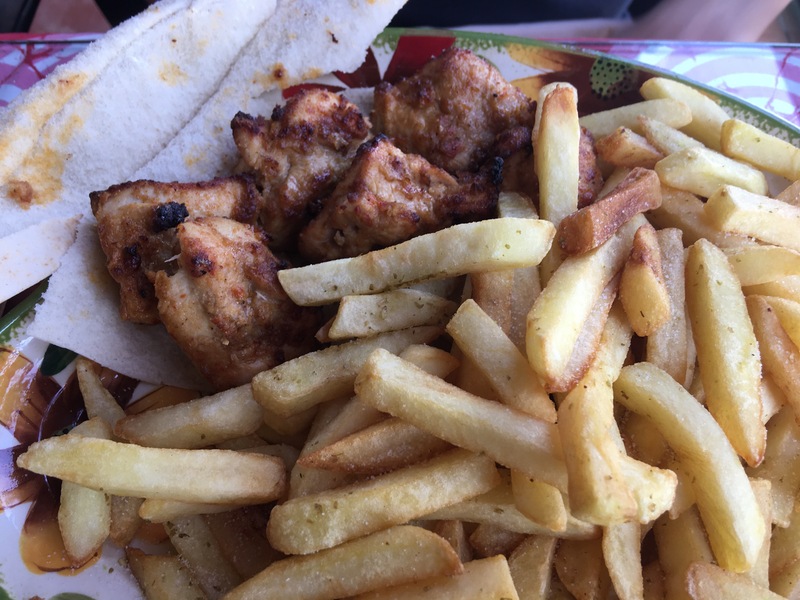 It was similar to the havov kebab which was marinated, cubed chicken and equally good. The yerevan kebab was spicy minced meat served with a cooling yoghurt dip. All of these dishes were hot and freshly cooked, the quality of the meat was excellent and it was beautifully tender. I was not quite so happy with my marinated boneless grilled chicken. I thought that it would be chargrilled with crispy skin but the marinade had made the skin soggy and chewy. It was difficult to remove the skin and the marinade did not add much flavour, I also found it quite fatty. The portion sizes on all the dishes were good as the meat was served alongside salad and fries. I was surprised how quiet the restaurant was at lunchtime on a Saturday as other times we have been it has been packed. Maybe this was due to the cycling or the fact it doesn’t look open from a distance due to the building work. I have to say, please do not let the construction work put you off as we were not effected by it at all. Throughout our meal the service was efficient but not overly friendly, this was at odds with the bright, friendly welcoming decor, which was a shame. Would I go back?…..probably. 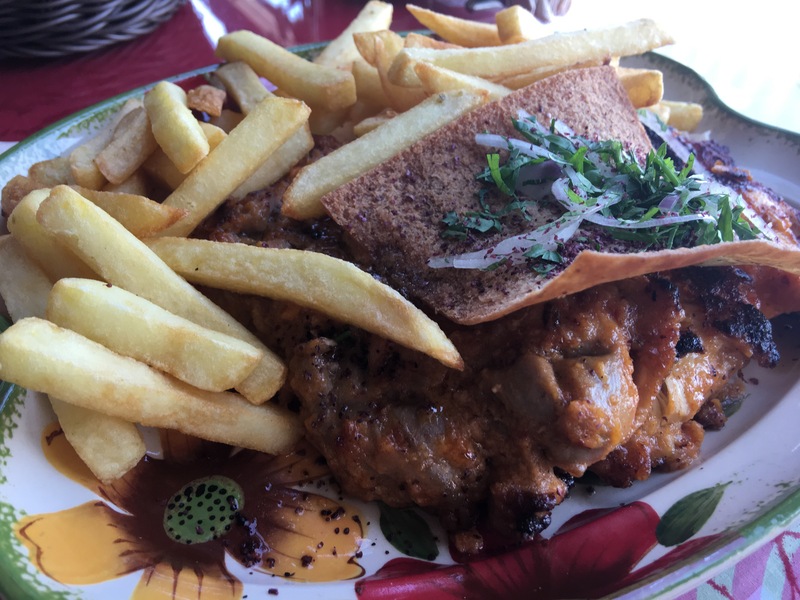 I think I was unlucky with my chicken dish and I know the potatoes can be much better however there are other places in Katara I would also like to try. 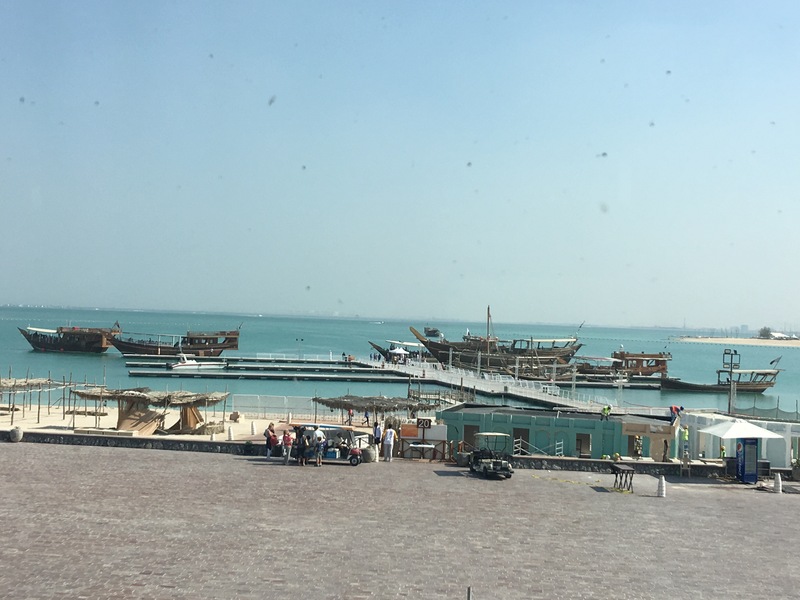 Mamig is a very pretty restaurant with a lovely view and I can see why its popular especially with families and overall the food was enjoyable. 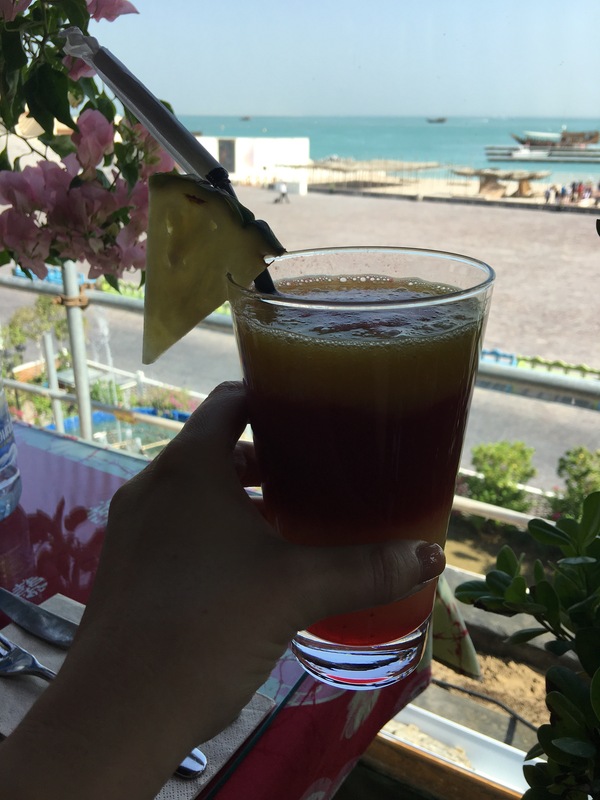 We paid 560QR for 4 appetisers, 4 mains, rice, water, soft drinks, a mocktail and a tip which I felt was reasonable .